Forging a just and equitable world, one of York University’s research themes, is a goal to which all global citizens would surely agree. And yet, being gay, lesbian, bisexual, transgender, queer or intersex (LGBTQI) can be a matter of life and death in many places around the world. Some of the United Nations (UN) member countries, many of which have signed internationally recognized documents such as the Universal Declaration of Human Rights, can be at odds with the essence of these legal documents when it comes to the rights of these individuals. 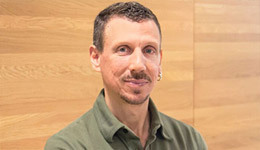 With funding from the Social Sciences and Humanities Research Council (SSHRC), principal investigator Professor Nick J. Mulé, Faculty of Liberal Arts and Professional Studies at York University, with Professors Maryam Khan and Cameron McKenzie (now both at Wilfrid Laurier University), examined levels of recognition and legitimation of LGBTQI people in the UN countries through policy analysis and a series of interviews. One of the discoveries that emerged was that some of the member nation states had active anti-LGBTQI campaigns. The researchers also reflected on the role of social work in protecting and supporting these marginalized populations. The work of these three York researchers will be of interest to human rights groups and policy-makers around the world. The results of the groundbreaking study were published in the journal International Social Work (2017). to practise tolerance and live together in peace with one another as good neighbours. Seeking to defend the rights of lesbian, gay, bisexual, transgender, queer and intersex people across the globe, and to address homophobia and transphobia, the UN launched its Free and Equal campaign in 2013. However, framing sexual orientation as a human right is still considered highly contentious, Mulé notes. “Traditional values often mean anti-gay, anti-feminist and anti-choice,” he said. More than half of the countries in Africa (many being UN members) criminalize homosexuality, according to the New York Times. Homosexuality is punishable by death in some areas (Amnesty International). Further, American-based religious right agencies go into Africa with anti-gay campaigns, fuelling anti-gay movements in Nigeria, South Africa and Kenya, and deploy strategies that obstruct LGBTQI rights. But this is not a cut-and-dry issue; there is no cohesive religious right. Instead, there are many different players with widely varying ideological frameworks. This is the complex and multilayered context of Mulé’s work. It’s also why this work is so important. To analyze the interviews, the researchers used discourse analysis, in which social life is interpreted through analysis of language in a very broad sense to include face-to-face interaction, non-verbal communication, symbols/images and documents. “This captures both linguistics (words chosen) and associated values, through expressed thoughts,” Mulé explained. differing cultural perspectives, which unearths cultural clashes between varying cultural groups and LGBTQI people. criminalization: hegemonic cultural norms and state-sanctioned forms of systemic heterosexism, which enforced imprisonment or even the death penalty. Mulé believes that critical social work, rooted in social justice and anti-oppression, may provide some answers because it speaks to respect and dignity of the individual inclusive of their sexual orientation, gender identity and expression. To read the article, visit the journal website. To learn more about Mulé, visit his faculty profile page. To see the UN Charter, visit the website. To read about the Free and Equal campaign, visit the website.